A facelift is coming. Will a manual option finally arrive? 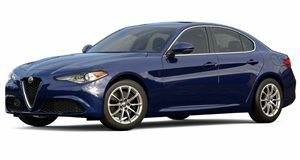 Alfa Romeo surprised everyone when it launched its reborn Giulia sedan back in early 2016. Its then all-new rear-wheel-drive platform was brilliant (it still is), overall build quality was excellent, and, equally important, the Giulia was a formidable challenger to the segment benchmark, the BMW 3 Series. The high-performance Giulia Quadrifoglio, or QV, is the closest thing to a four-door Ferrari on the market. Its Ferrari-derived 2.9-liter twin-turbo V6 with over 500 hp is an absolute delight. So what changes are planned for the future facelift, possibly happening next year? We sat down with the global head of Alfa Romeo, Tim Kuniskis, at the Geneva Motor Show and asked him. He was surprisingly very direct. However, because the Giulia (and Stelvio) are designed for the global market, Alfa Romeo can’t offer both methods. What would be Kuniskis’ preferred choice? "So if we had a choice between both, I’d probably sway towards the American style. The Europeans prefer the joystick. The way different markets drive makes it totally different,” he added. "Americans even complained the cupholders weren’t big enough.” We also inquired whether a six-speed manual option is in the pipeline. "The take rate for those (manuals) is literally nothing.” So that’s that. Kuniskis could not say when or where the Giulia facelift will debut (or if the cupholders will become larger), but given the model is nearly four years old, bet it’ll happen fairly soon.